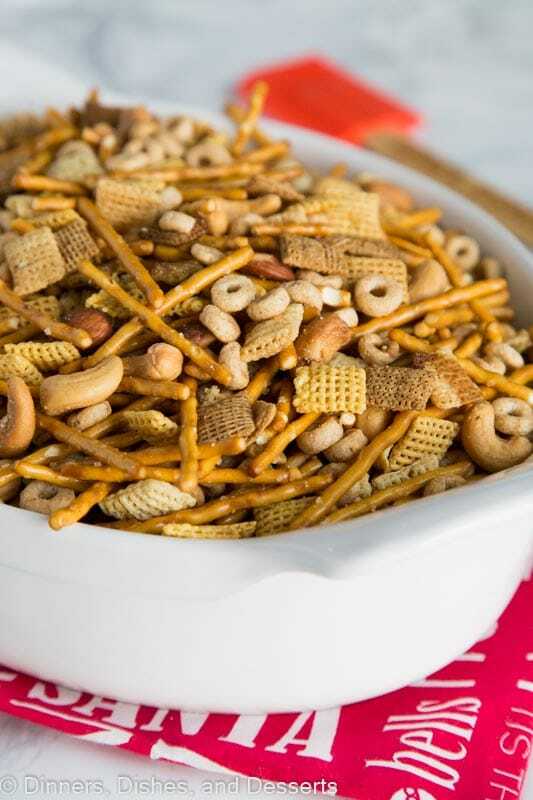 Party Mix – a version of Chex Party mix that has been around for about 50 years! 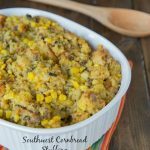 We make it every single year and is a staple for the holidays! We have a lot of traditions at our house around the holidays. We had them when I was growing up, and I was pretty tied to them! Now have a lot of our own traditions, but some of the ones from my childhood and my husbands are still a part of ours today. 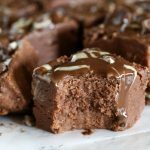 Like we make my favorite Fudge every year on Christmas Eve just like when I was younger. 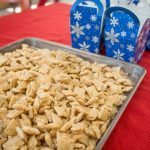 And we still make this Party Mix every year just like my husband had. And we make his favorite Frosted Sugar Cookies because they are amazing as well. 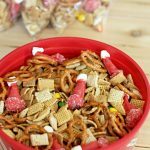 This Chex party mix gets made shortly after Thanksgiving and lasts at least until Christmas at our house. It makes a TON! I usually freeze a bunch of it, so we can take it out in the summer and enjoy a little then too. This Chex Mix recipe is one that my husband’s grandma found in the newspaper before my husband was even born. 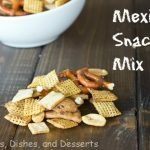 Her Chex party mix recipe was around before all of the Chex were even invented. So early on my mother in law changed it slightly to add corn chex to the mix. Which I am thankful for, because those are my favorite! 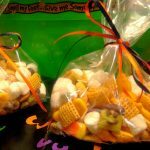 One tradition my husband remembers from when he was just a little boy and would help make this party mix recipe, is the taste testing! You bake it at a low temp for 2 hours, stirring every 15 minutes. Every 15 minutes, after it has cooked for an hour, you are allowed to taste 1 piece. Trust me, it doesn’t turn our right if you don’t follow this special step. 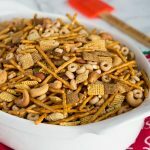 This party mix recipe will forever be part of our family, and I hope that is can be part of yours too! It is so easy to make and such a fun tradition to do every year. My son looks forward to it every year! 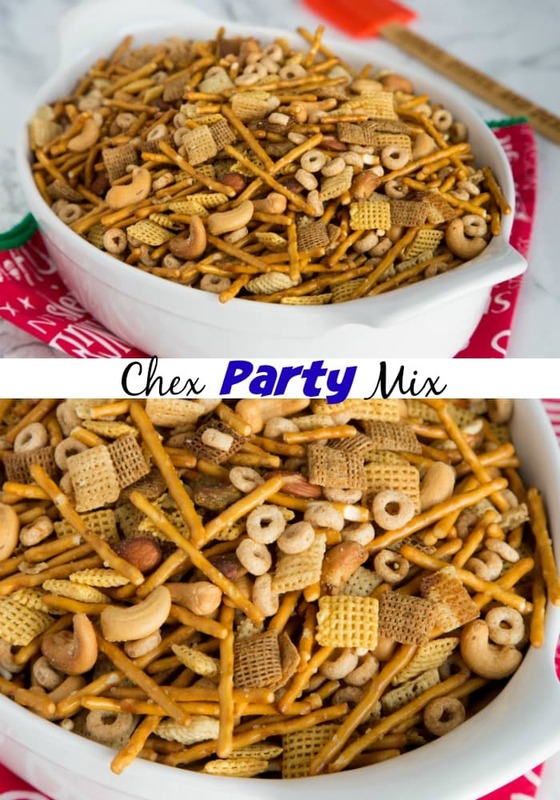 Party Mix - a version of Chex Party mix that has been around for about 50 years! 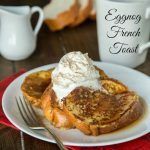 We make it every single year and is a staple for the holidays! Mix all the ingredients together in a large pot. Bake for 2 hours, stirring every 15 minutes. This used to be my favorite as a kid and I love making it now too! My wife’s aunt makes something similar, and we went through several huge bowls last Christmas 🙂 Sounds wonderful! This is a staple for me too. I have plans to bake some up this weekend! Mix like this was always such a special treat for me since my mom is allergic to nuts. That meant party mix was a no no at home. Basically I overloaded at any chance I got. Happy now I can make and eat it whenever I want! I have an absurd love for chex mix, but the premade stuff is so salty. Happy to have your recipe! 2 cup of oil? that sounds like a lot. It makes a ton!! Almost 4 full boxes of cereal and 2 full bags of pretzels. Looks like my recipe! My grandma got me hooked on this when I was a wee one – lol… I made some not too long ago. The problem – I have no willpower. I have made this for years, It’s not the holidays with out it. No prepackage stuff for us. I am really excited to know that it can be put in the freezer. Will absolutely try that trick, but I will probably be still sneaking some. Two things. (1) um, YUM! (2) I like the new look! Maybe you have done this new layout awhile ago, but it is new to me. Looks great, Erin! Love the new site!! 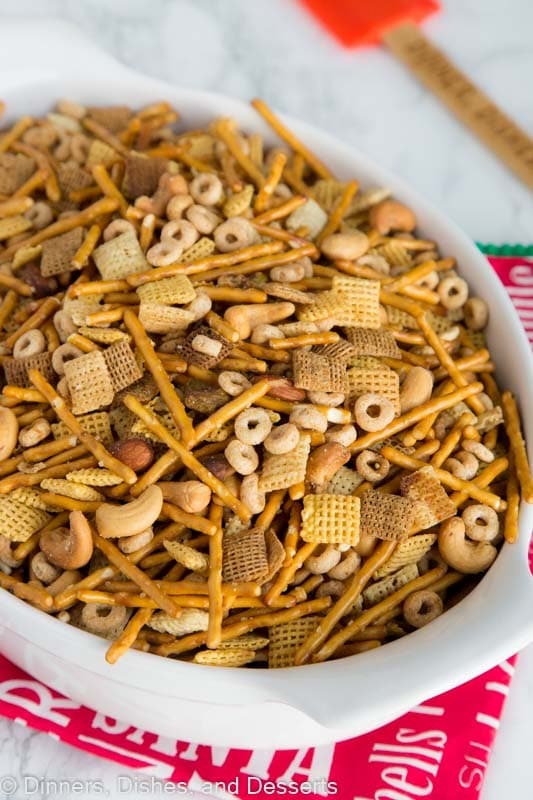 And this party mix is awesome, I grew up with my mom making it every new years eve….it’s delicious! I love how well you stick to tradition 🙂 My grandma makes this at Christmas…and now I want to see if there’s more of a story behind it than I know! Love this party mix!! Especially the Worcestershire! Love this recipe. 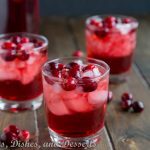 I made some this year and was surprised how yummy this stuff is. I had no idea. Thanks for the tip about freezing it, I would have never thought to do that. 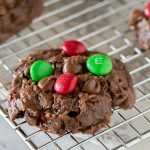 This has been my favorite recipe to make for Christmas since I was a kid! Perfect for snacking! I make this every year. My favorite! 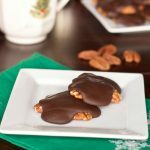 I love family holiday traditions especially when they involve yummy treats this this! 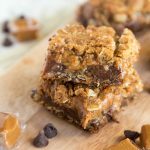 I’m adding this to our weekend snacking! Looks so good I might need to hide a secret stash just for me, haha! Just perfect! And it’s a heck of a lot better than the prepackaged stuff! I’m an absolute sucker for the classics, we can’t get enough of this! The BEST way to snack!!!! I can see this going quick at my next party!! 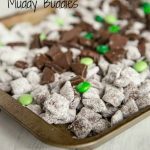 This is a must make party recipe! Looks perfect for any party! So yummy! This was really addictive! I love that you can freeze this! What a great idea! This is so delicious, I just keep eating it!